Grade 6 recently participated in the Canadian Scholastic Achievement League contest online. Competing against 2500 students from across the country, we had many of our students who placed above the national average. Especially noteworthy is Dylan Lee, who is the 2016 Provincial Champion. Congratulations to our knowledgeable students! 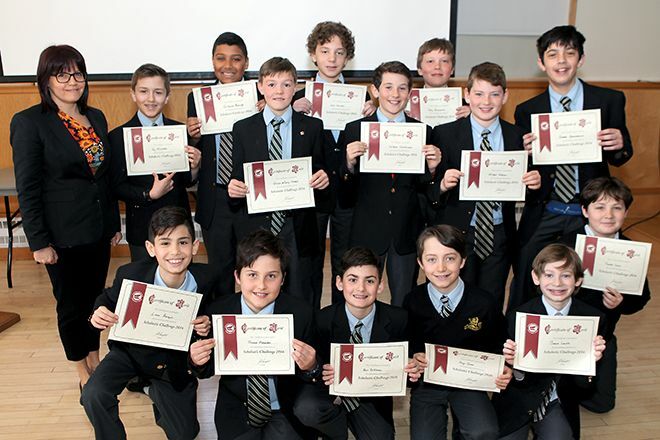 April 29, 2015 - Duncan, BC, Canada – William Gibbs of Queen Margaret’s School has won first place in British Columbia for the Canadian Scholastic Achievement League (CSAL) Scholastic Challenge. The award makes him the third QMS student in five years to place first in the province for this scholastic test. CSAL’s Scholastic Challenge is a contest for Grade 6 students from across Canada. The exam is one hour in length and tests students with 100 questions in six categories: general knowledge, language and literature, social studies, science and mathematics. "Our students have enjoyed taking part in this scholastic contest for the last five years," explains Ms. Fiona Morrison, Grade 6 teacher at QMS. "They engage with the on-line nature of the exam and genuinely enjoy the challenge. I was even more excited when I learned that it was William who had won," explains Ms. Morrison. "His older sister Hannah was the provincial champion in 2012!" The Grade 6’s at Queen Margaret’s School had results that placed three quarters of the class participants above the national average. Gibbs received a trophy for his efforts, along with recognition from his class. He will be formally recognized by the whole school during a ceremony in June. "It’s exciting for our school community," says Mrs. Wilma Jamieson, Head of School. "His hard work, and that of his classmates, is a testament to the enriched educational experience offered by our entire junior school faculty."